Research on European law can without doubt benefit enormously from case-law databases, including the recently introduced European Case Law Identifier Search Engine (ECLI Search Engine, made available at the European e-justice Portal) and the Centre for Judicial Cooperation Database (CJC Database, available through the European University Institute Centre for Judicial Cooperation’s website). The ECLI Search Engine already comprises 4 million judicial decisions, coming from 8 EU Member States (Spain, France, the Netherlands, Germany, Austria, the Czech Republic, Slovakia, Slovenia and Finland), the Court of Justice of the EU, the European Court of Human Rights and the Board of Appeal of the European Patent Office. One can search this database on the basis of simple search terms, or on the basis of numerous criteria such as country of origin, judicial institution, date, field of law, reference to EU law, et cetera. This creates the great opportunity for both researchers and practitioners to search – only by pressing the enter button once – within the decisions of all these courts. The CJC Database comprises a selection of judicial decisions, made by scholars and accompanied by case notes. 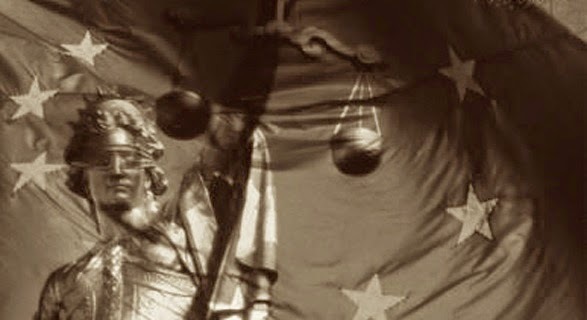 The CJC works on several highly interesting topics: European judicial cooperation in the fundamental rights practice of national courts; General principles of EU law and development of judicial remedies and the interaction between international and domestic courts; Migration related judicial dialogue and legal issues. Thus, not only the outcomes of the CJC research project is promising, but also the possibilities its database will create for further research. Yet one should also be aware of the drawbacks that come with (the present version of) the ECLI Search Engine. It is, for instance, still far from complete. Moreover, references to EU law are not always made uniformly, which makes them hard to find even with this database. And available translations in English or French of judicial decisions are sometimes not included in the search engine. Experts have therefore suggested continuous amelioration on these points. As for the CJC database, it should be used carefully, being conscious of the fact that it comprises only a selection of cases, made in course of a specific research project. More generally, researchers should be mindful of possible biases that come along with the use of databases. By searching for a specific law, one might exclude results that could be relevant for one’s type of research, e.g. because they have a similar subject-matter. And available key words might guide the researcher’s way of thinking, even sub-consciously. The same holds true for practitioners. Their search biases, leading to a limited, not necessarily representative set of cases, could have persuasive influence on new judicial decisions, which could eventually influence the way in which our positive law develops. But whilst carefully keeping in mind these dangers, legal researchers will mostly we very happy with the possibilities the 21st century offers. Those who are not so much at home in the digital world should not hesitate to ask for help when using databases. The whiz kids who created them included handy tools that some lawyers (including myself) are not immediately aware of, even when having read the manual. To search deeper within the obtained results using a smart search term, for example, can avoid a lot of unnecessary reading work.